Irvine, CA, April 9, 2018: MecSoft Corporation, the developer of industry leading CAM software solutions, has announced the availability of VisualCAM 2018 for SOLIDWORKS, the latest version of MecSoft’s fully integrated Gold Certified CAM solution for SOLIDWORKS. 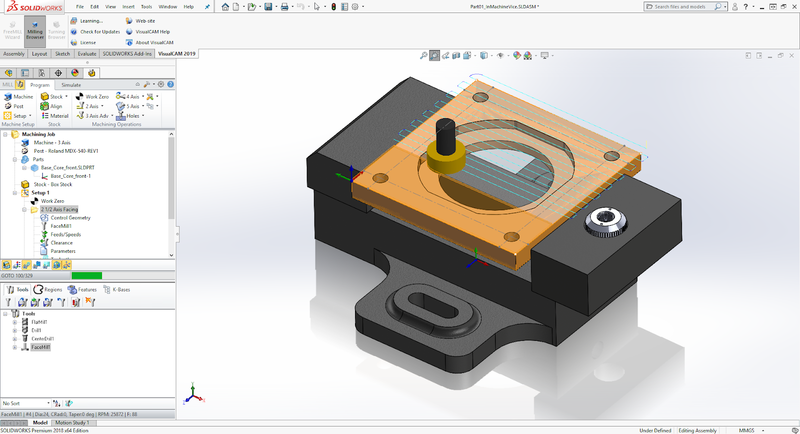 “The newly released ability to perform CAM programming inside an Assembly document of SOLIDWORKS opens up significant productivity improvements for our users. This in addition to the innovations such as Automatic Feature Detection (AFD) & Automatic Feature Machining (AFM) along with the addition of new toolpath methods and enhancements to existing methods have been introduced. MecSoft continues to deliver functionality only found only in products costing thousands of dollars more”, stated Joe Anand, President and CEO of MecSoft Corporation. Free demo software of VisualCAM 2018 for SOLIDWORKS can be downloaded here.